Andorra defeated ASVEL and became the fourth team to advance in the semifinal stage. 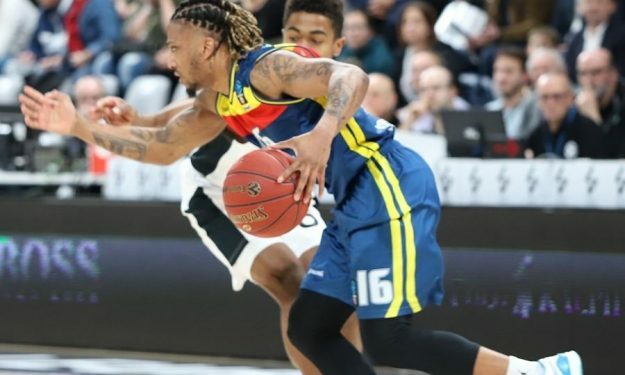 Morabanc Andorra qualified to the EuroCup semifinals for the first time in the history of the club by beating ASVEL Villeurbanne 80 – 82 on the road and winning the quarterfinal series 2-1. Dylan Ennis notched 14 points plus seven assists for the winning squad and, most importantly, was the one to drain the go-ahead bucket. With the score 79 – 80, Ennis slashed through the ASVEL defenses to make the layup for the 80-81. Mantas Kalnietis and Charles Kahudi didn’t manage to score for ASVEL while on the other end, Andrew Albicy made 1/2 free throw. The French side had a chance to win it at the buzzer, yet AJ Slaughter’s 3-point attempt went off target. ASVEL is eliminated but is still EuroLeague-bound for 2019-2020. Miro Bilan had 19 points and eight rebounds, David Lighty scored 16 while Charles Kahudi added 14 points and six boards. For Andorra, Jerome Jordan scored 14 and David Jelinek 13.